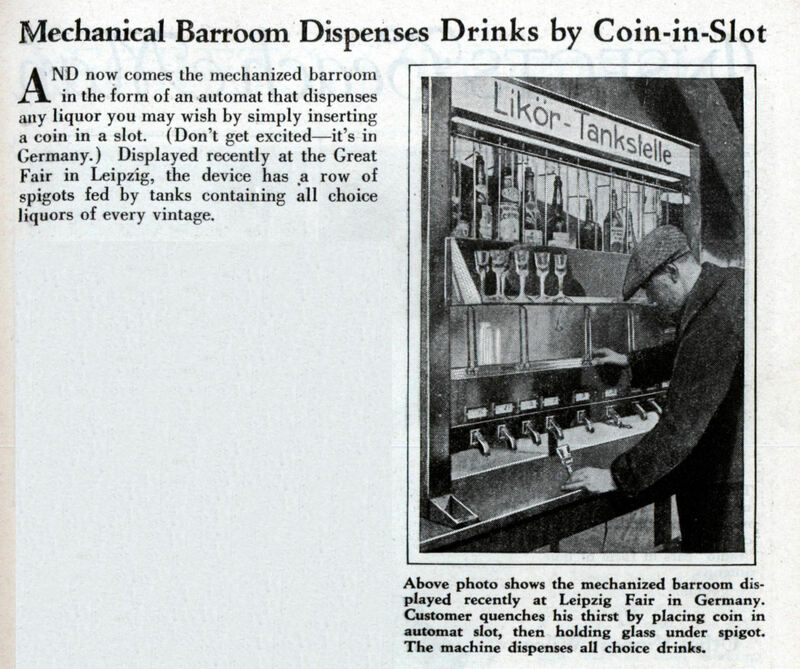 AND now comes the mechanized barroom in the form of an automat that dispenses any liquor you may wish by simply inserting a coin in a slot. (Don’t get excited—it’s in Germany.) Displayed recently at the Great Fair in Leipzig, the device has a row of spigots fed by tanks containing all choice liquors of every vintage. 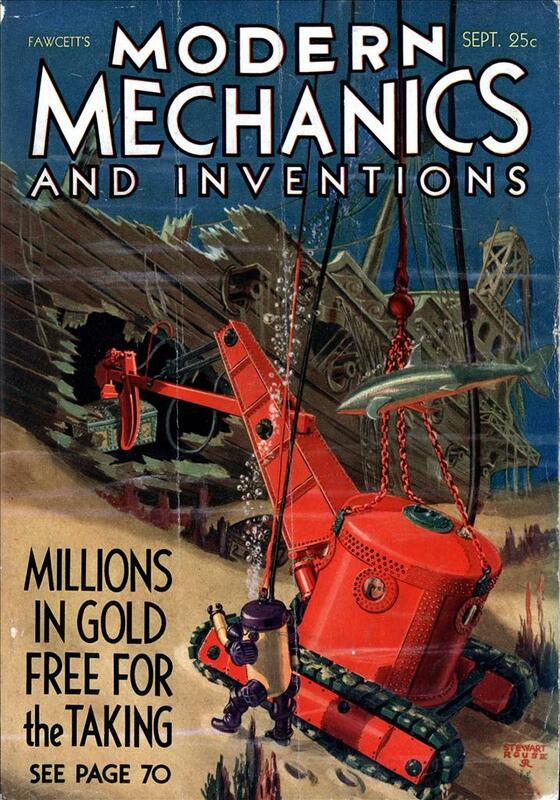 If I installed this next to a high school I could make a fortune!